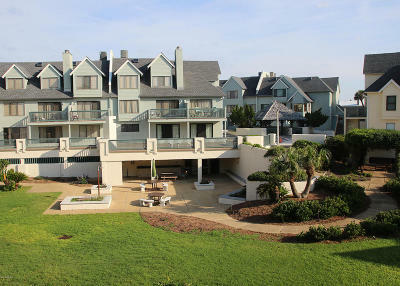 OCEANFRONT / BEACHFRONT CONDO. 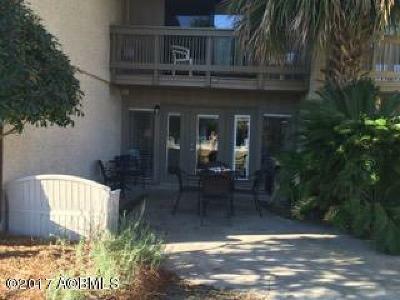 WONDERFUL End Unit with EXTRA Windows make for additional views of the Ocean. This location perfect, right in middle of the island. 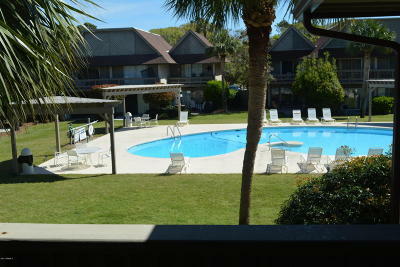 Only steps to the pools, restaurants, tennis, pickleball, shopping and more. 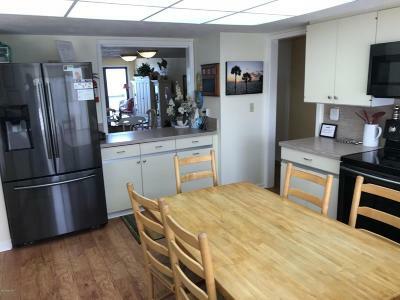 3 Bedrooms/ 3 Full Baths has plenty of room to spread out. 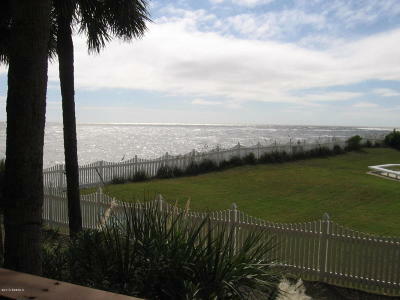 This is a wonderful get away for all or a Fabulous rental. 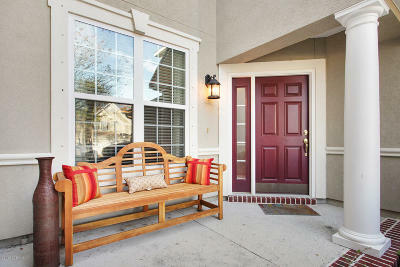 Two separate porches to enjoy. 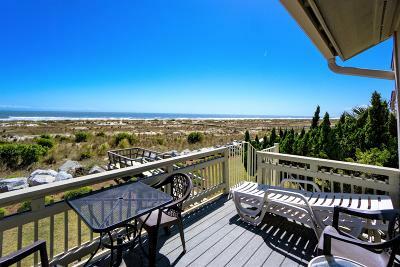 Walk out to your Private Beach accesses or relax on the benches around and take in the stars, sunsets or shrimp boats out over the Ocean. EXTRA Storage outside with this end unit too. 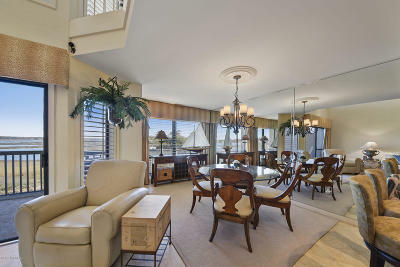 Come see this condo and you will never want to leave. 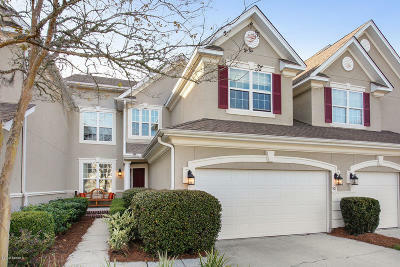 This bright and cheery end town home, is full of tall windows and many upgrades. 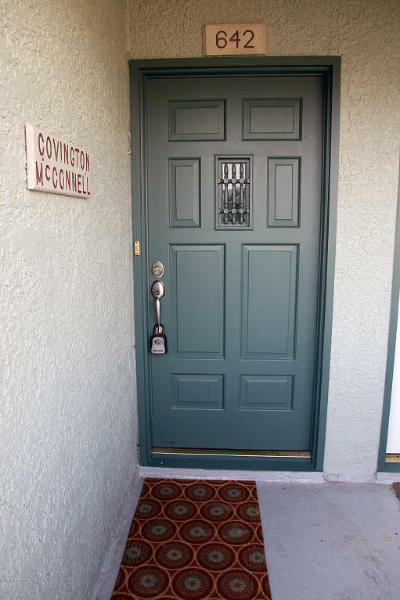 Enjoy an oversized master down, with two bedrooms with ensuite baths and a spacious home office, upstairs. 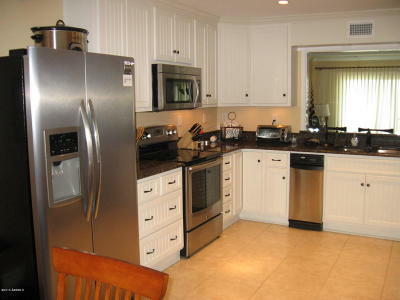 The kitchen is appointed with rich wood cabinetry, stainless steel appliances and walk in pantry. 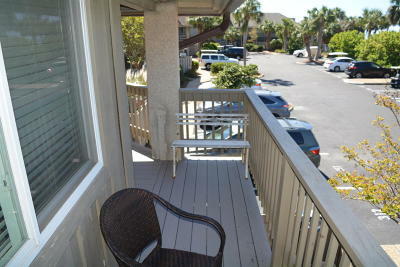 There is also a screened porch on the rear of the home over looking the bricked courtyard. 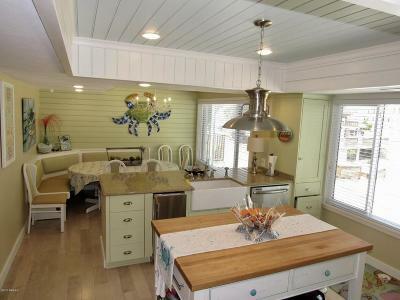 There is a large two car garage, which will also accommodate a golf cart, and is complete with attic fan. 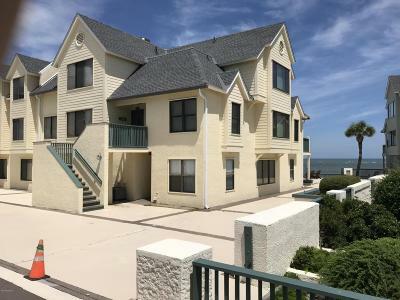 In 2016, new HVAC units were install with Honeywell wireless controlled thermostats, with a free app for your phone for remote controlling. Also upgraded with a Rinnai tankless water heater. The master bath has a newly installed Jacuzzi tub and a separate shower with European style tempered glass rain pattern doors. 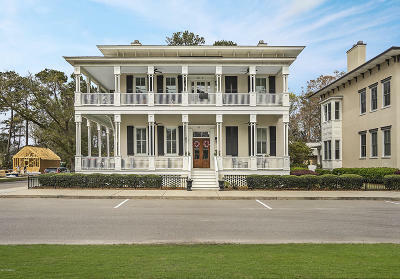 Stylistically designed after the grand townhomes found in the historic regions of Savannah & Charleston, The Townhomes of Habersham capture that same elegant 'city living' of years gone by. 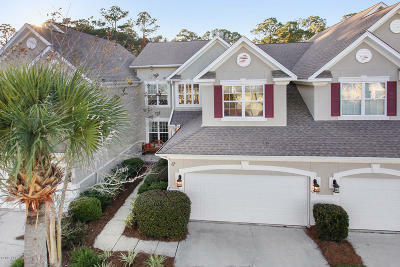 Better known as The Treadland Model, this end unit provides the home with an abundance of natural light. 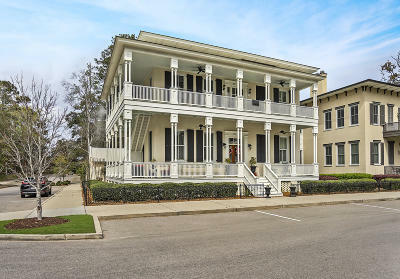 12ft Ceilings throughout the first floor, Rustic Heart Pine Floors, Gas Fireplace, a Screen Porch open to a Private Courtyard, Granite Countertops, Custom built-ins and a Pantry every girl dreams of are just a few of the highlights. The Master Ensuite is located on the first floor. Upstairs features a HUGE loft area & 2 additional Bedrooms, each with their own Bath. Attention to detail is PRISTINE! 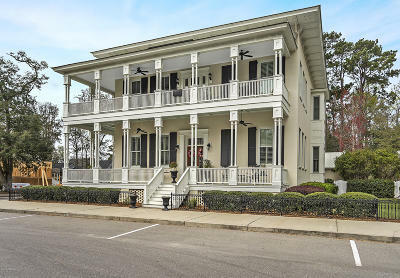 Come experience Lowcountry Living at its finest in a place you call Home at The Townhomes of Habersham. This is one of Newhaven's finest! 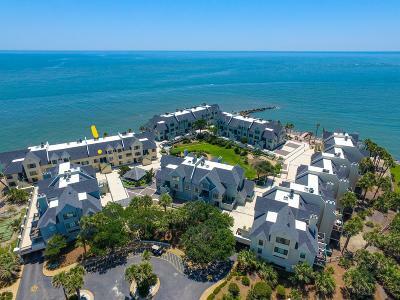 Located on the water with a million dollar view at less than half the price, this fine property has been freshly renovated with new appliances under warranty and is ready to use as your residence or for additional income. 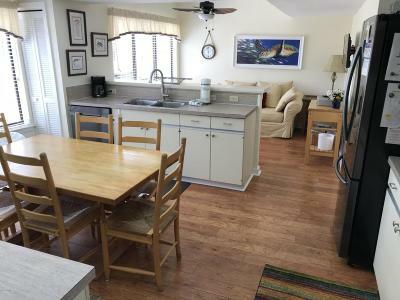 Be sure to check out the separate laundry room, large attic storage, additional storage under the stairs, secure golf cart room and underground parking for three cars. 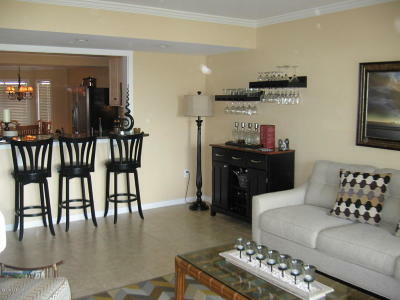 Furniture is in like new condition and rental history is excellent. 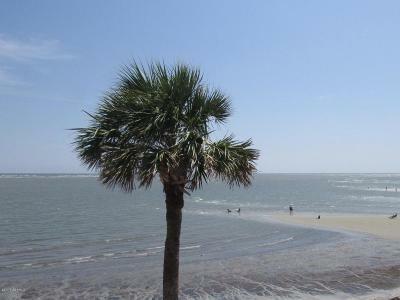 Try to take your eyes off of this view! You won't find a comparable one at such a low price and it comes with a Brand New 2018 Golf Cart. 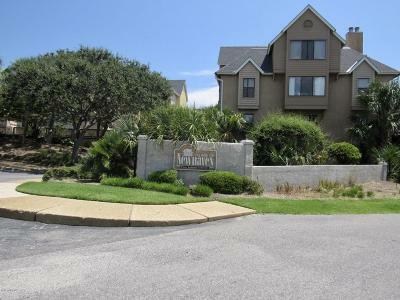 This 3 Bedroom 2.5 Bath condo is located in the Village of Newhaven with great amenities for owners. 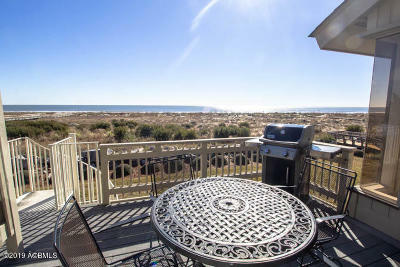 Sunrises, Moon rises and a beautiful courtyard, grilling area and ocean view deck. 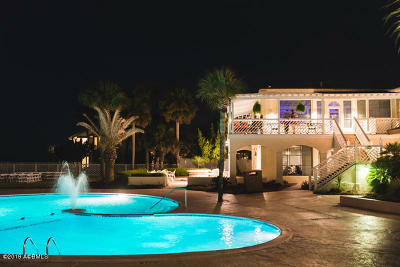 Professionally Decorated with New Living Room Furniture and a Custom Electric Fireplace. New Roof, Water Heater, Carpet, Wood Flooring, Inside & Outside Paint, Mattresses as well as your own storage area which your cart can fit into. 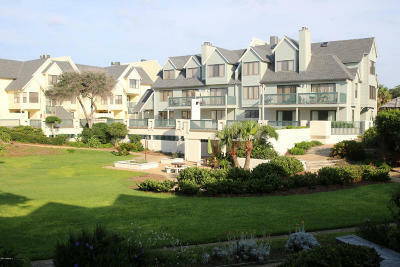 Watch the Dolphins & Sea Otters play right from your own Living Room and Master and Guest Bedroom. 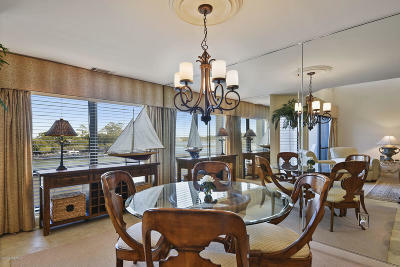 You will be glad you looked at this condo. All Special Assessments have been paid up to date. 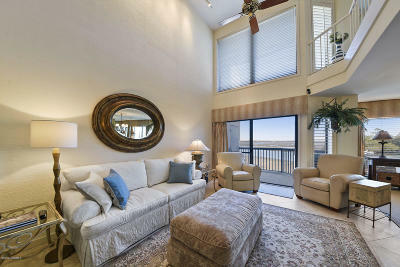 Beautiful oceanfront unit at Village of New Haven. 3BR, 3-1/2BA. Wood flooring in majority of downstairs with one bedroom down and two up. Parking and storage in parking garage.